There is no substitute for an experienced, skilful sales team. We are expert in both product and area knowledge as well as negotiation. All our prospects are properly qualified and matched to your property, and we stand by our commitment and track record of achieving the best price the market can achieve for every property we list. We maintain an extensive online Database, where we qualify prospective buyers and record their buying criteria. New listings are sent by email and sms to database subscribers, so you can be sure your property is receiving maximum buyer exposure. For every new property listed with Maryanne Birch Real Estate, a flexible marketing programme is prepared, which incorporates tried and tested marketing tools and is tailored to your property’s requirements and your own personal preference. Our reputation is our guarantee. When signing an Exclusive Listing Authority with our agency, you will never have to feel pressured. If you are not happy with our marketing service, you can tear up your agreement and cancel our appointment at any time! This is how confident we are with our services. 70% of Buyers in Australia and New Zealand first find out about a property for sale on the Internet. 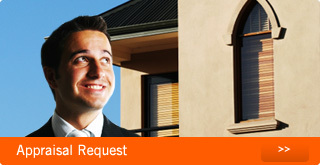 Your property will not only appear on our vibrant and up-to-date website, but also on www.realestate.com.au and propertysearch.reiq.com.au. We make certain that our listings are always up to date, and enquiry is attended to promptly. We are also linked to FIABCI which is the International Real Estate Agents Federation. Maryanne Birch Real Estate is part of an Independent Agents Local Property Magazine – which is distributed to 15,000 households in the area bi-monthly, and is also linked to the irean website and referral data base. This quality magazine gives our properties an edge by guaranteeing they will reach the letterboxes of prospective buyers in the local area. As member of irean (Independent Real Estate Agents Network), we form the largest referral network in Australia with 1200 members and growing. This powerful network gives access to your property Australia wide. Our office is located on busy Riding Road with prominent exposure to both motor and pedestrian traffic. Our expansive window display and dynamic office signage guarantee that your property is on show 24 hours a day, 7 days a week. Maryanne Birch Real Estate has a large and increasing residential and commercial rent roll. 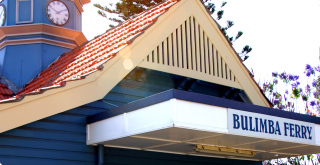 Many of our owners whether overseas, interstate or local, have extensive portfolios and are constantly in the market for suitable properties to invest in. This is why we feature our listings in our monthly Landlord Newsletters – another avenue of increased exposure for your property. Each member of our sales team has been through the process of buying or selling property. We know how important it is to have access to honest and reliable advice. Maryanne Birch Real Estate operates with the highest level of integrity, and our reputation in the industry reflects this.